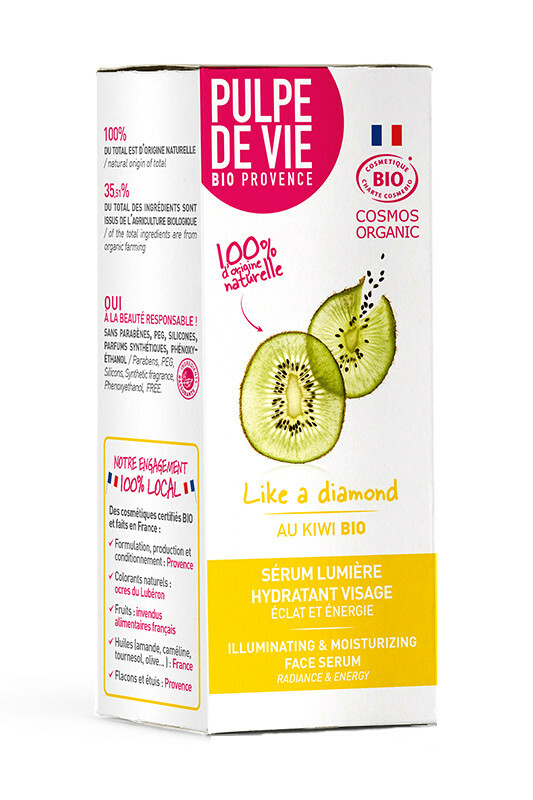 Illuminating and Moisturizing Face Serum Organic Like a Diamond is a light booster that will reveal and illuminate all dull complexions! 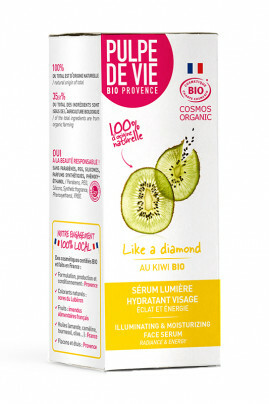 Formulated with natural active ingredients, this organic serum prevents the signs of aging thanks to the antioxidant properties of organic kiwifruit. Your face regains its natural glow and becomes firmer. Enriched with plum, this treatment moisturizes your skin perfectly and gives it softness and protection. With its revitalizing and toning properties, this biological serum reveals your natural beauty. The final touch of this Illuminating Face Serum Organic is the addition of mica star powder. Of natural origin, these sequins bring radiance and light to your face. To you, the glowy complexion and the radiant face! Un parfum envoûtant, je l'utilise en mélange avec mon huile de jojoba. Je ne peux plus m'en passer. On clean skin, take a few drops of this Illuminating and Moisturizing Face Serum Organic and apply on your face. You can either apply it before your day cream to bring light or mask-care the evening after your make-up removal. You get a glowing skin when you wake up. To enhance the effects of this organic care, we recommend the Anti-Fatigue Glow Eye Care Brrright Pulpe de vie to bring radiance to your eyes. 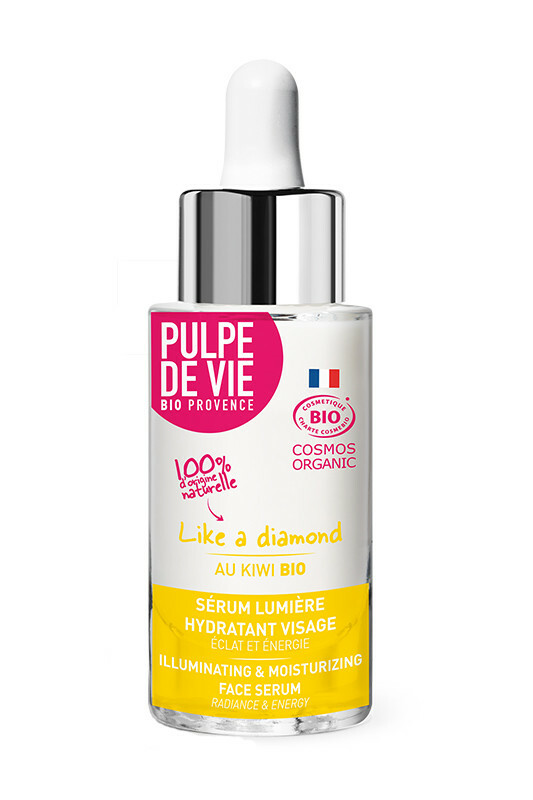 Illuminating and Moisturizing Face Serum Organic Pulpe de Vie is completely natural !